We love doing fun things as a family, so any time I see an opportunity, I seize it. 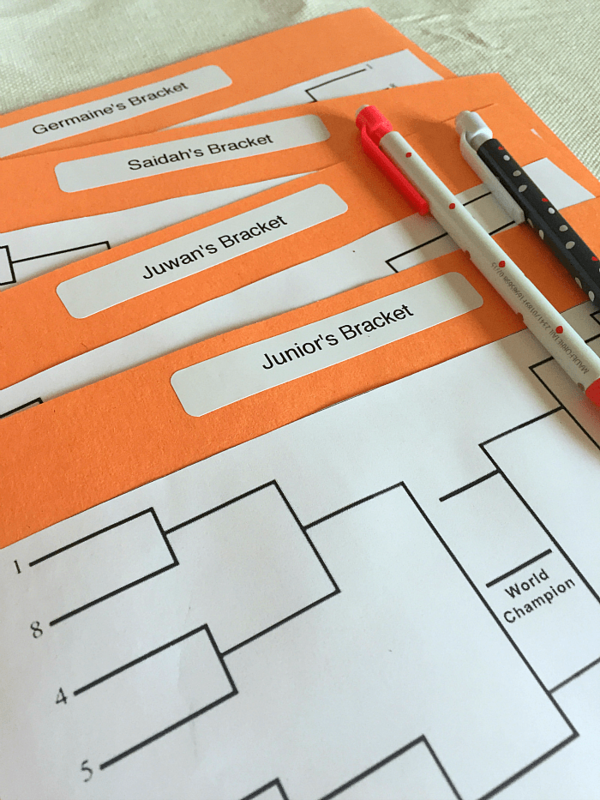 With the big college basketball tournament coming up, I wanted to get a better understanding of how it all works and do something fun with the family. 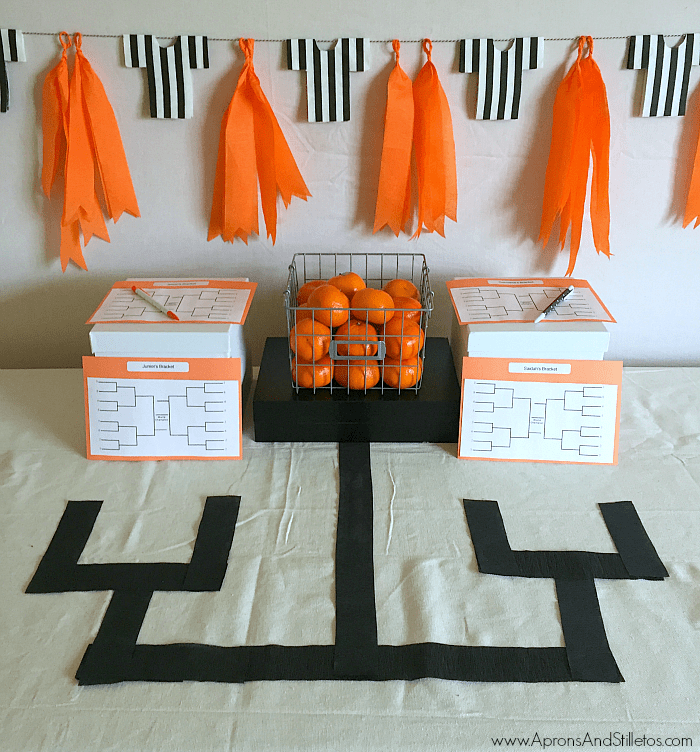 I ended putting together a basketball tournament themed party we can use over the next couple of months as we track our brackets. 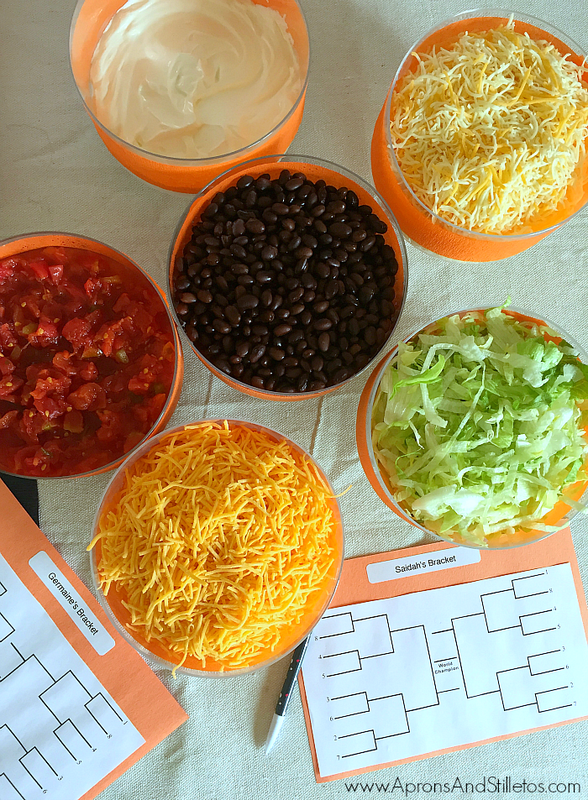 I want each game day to be fuss free so I went with a fuss free taco salad bar, easy decor and simple printables. To start, I grabbed a copy of my party planning printable and wrote out my ideas. 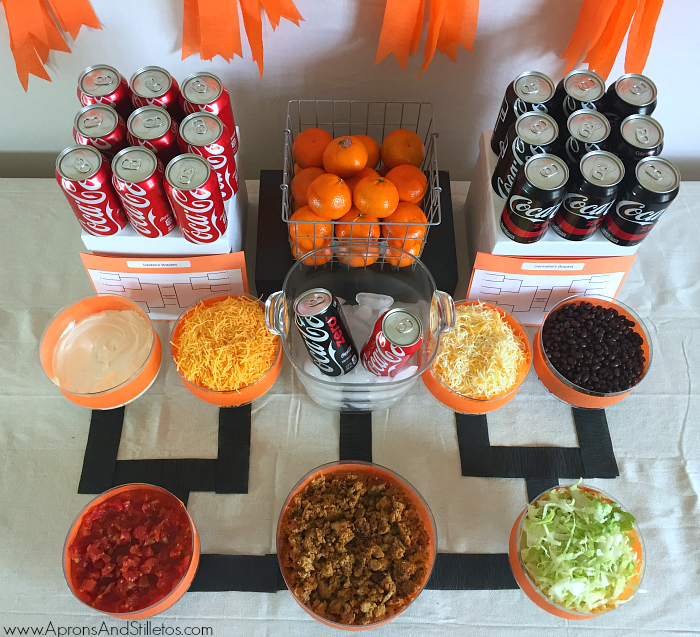 For a super easy menu I served Taco Salad, fruit and Coca-Cola. 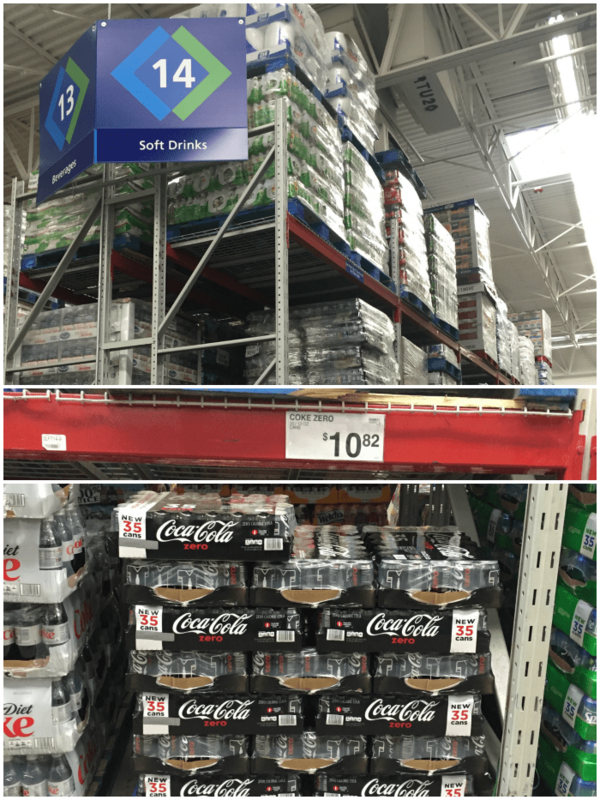 I made a quick stop at Sam’s Club to get my Taco Salad ingredients, tangerines, and a few packs of Coke Zero and Coca-Cola. 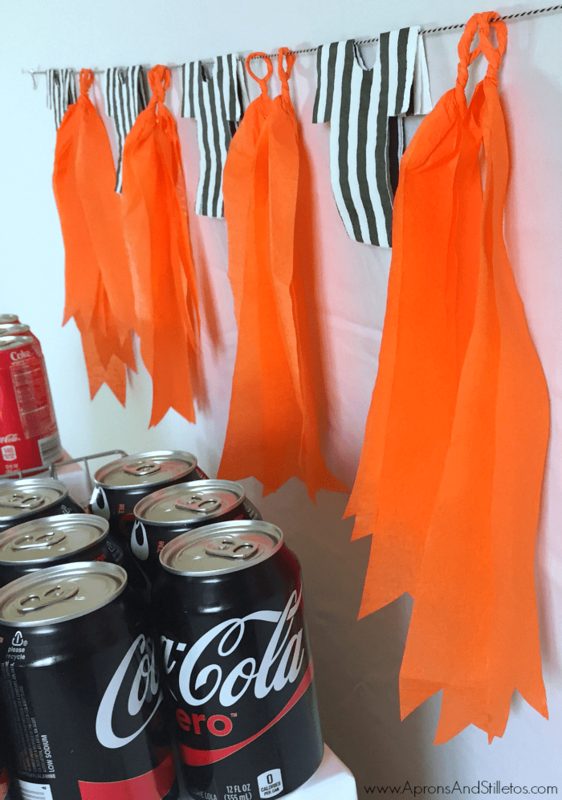 The day before our party, I put the sodas on ice and started making the food. To make my taco salad I started with my homemade taco seasoning recipe and added it to cooked ground turkey. 1. Heat 2 tablespoons of olive oil in a large skillet on medium heat. Then crumble the ground meat into the hot pan. Add in salt and pepper. 2. Brown the ground meat while using a spoon to to separate any large clumps as it cooks. This should take 25-30 minutes to cook thoroughly. 3. Pour the water and taco seasoning over the meat then mix together. Simmer on low for 5 minutes. 4. To assemble the taco salad in a bowl, start with meat on the bottom, then a layer of lettuce. Next, add beans, jalepenos, tomato, cheeses and sour cream. This taco salad recipe is simple, but flavorful and perfect alongside an ice cold can of Coca-Cola or Coke Zero. I kept the decor really simple too. For this party I used a canvas drop cloth for the table covering. 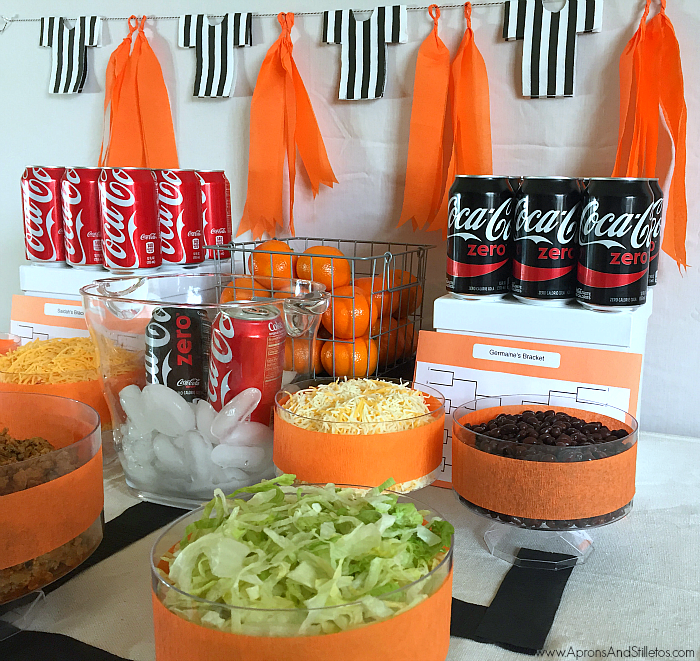 I wanted a neutral color that would work well with the orange tassel banner I made and the black bracket lines used to decorate the table. 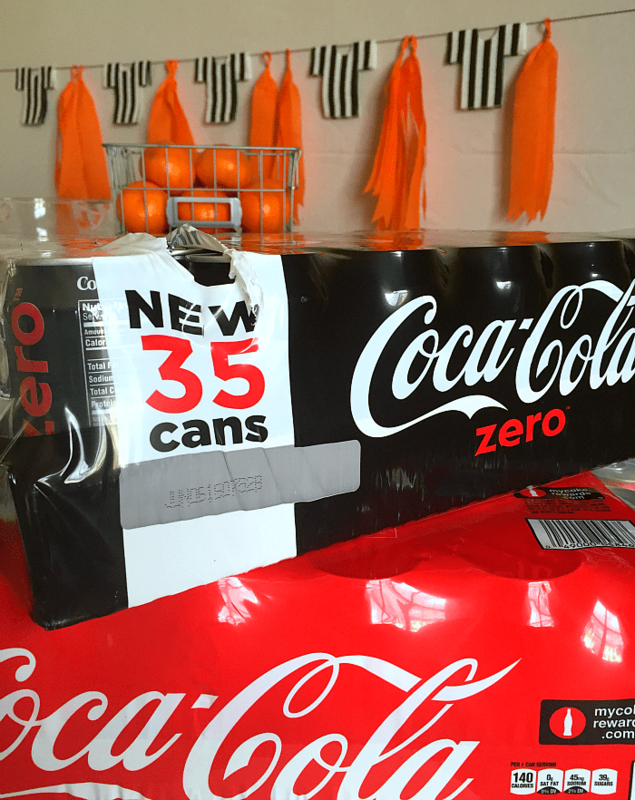 The banner was super easy to make by combining this party streamers tutorial and referee banner tutorial. The fun thing about these tutorials is that you can combine the two or use just one. 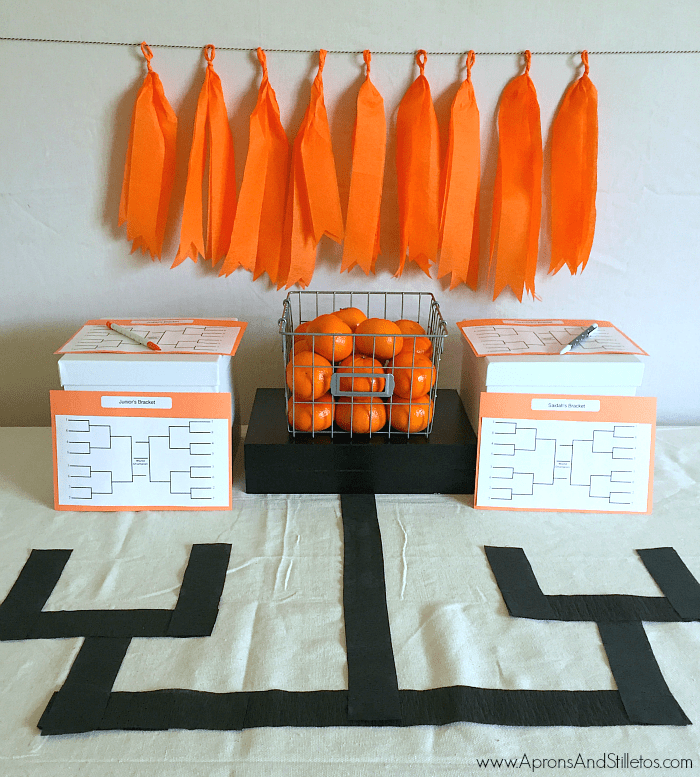 To make the bracket outline on the table, I used strips of black party streamer. 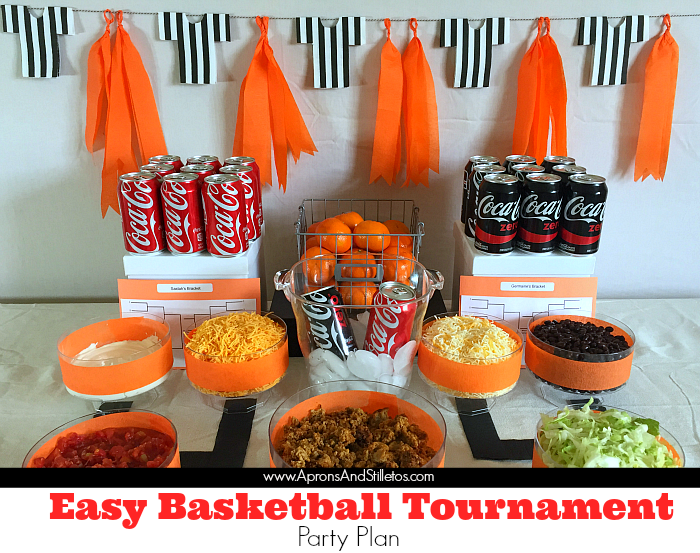 These are two easy basketball tournament party decorating ideas so give them a try and let me know how you liked them. 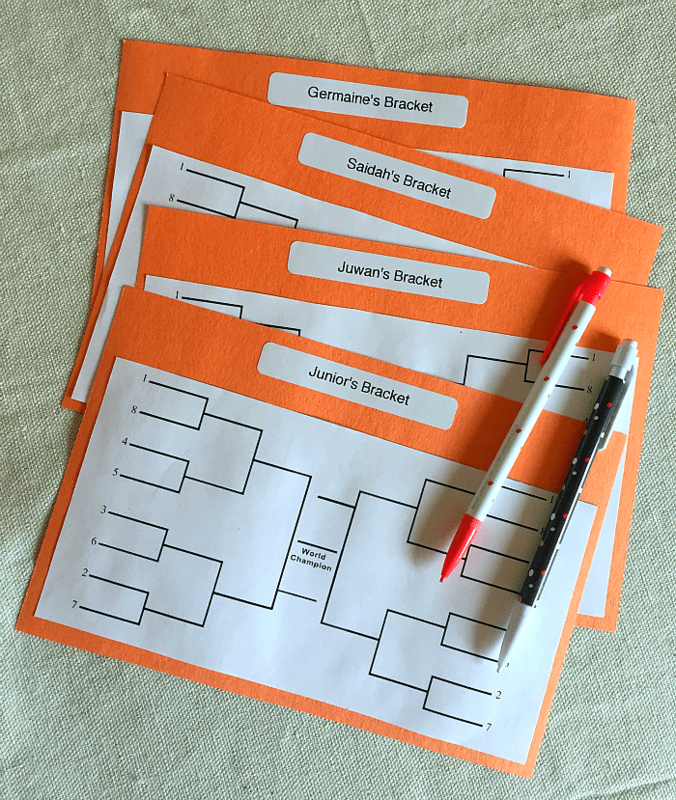 The other element I incorporated into my party were some generic bracket printables I found using Google. I printed out one for each of us and glued them on construction paper. Using my label maker, I added our names at the top. 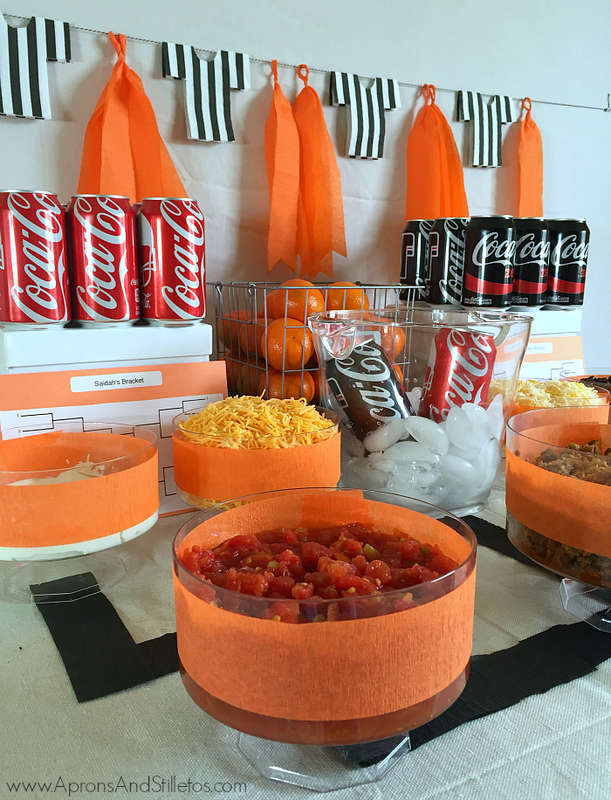 For more fun and frugal themed party ideas, check out my party gallery. Exactly! And a great way to get non-sportsy people interested in basketball!